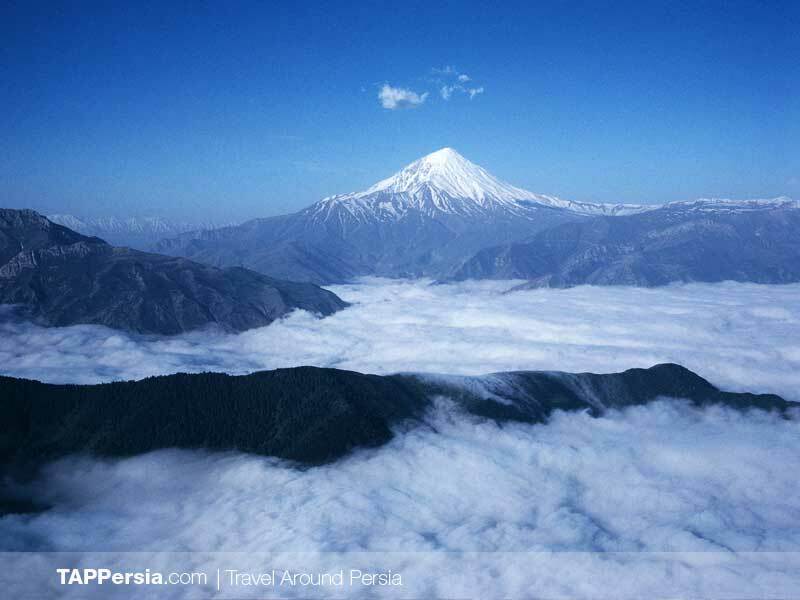 Mount Damavand is located 100 km from Tehran in Alborz Mountain Range, North of Iran. As its altitude is 5610m high, it is known as the country’s highest summit. 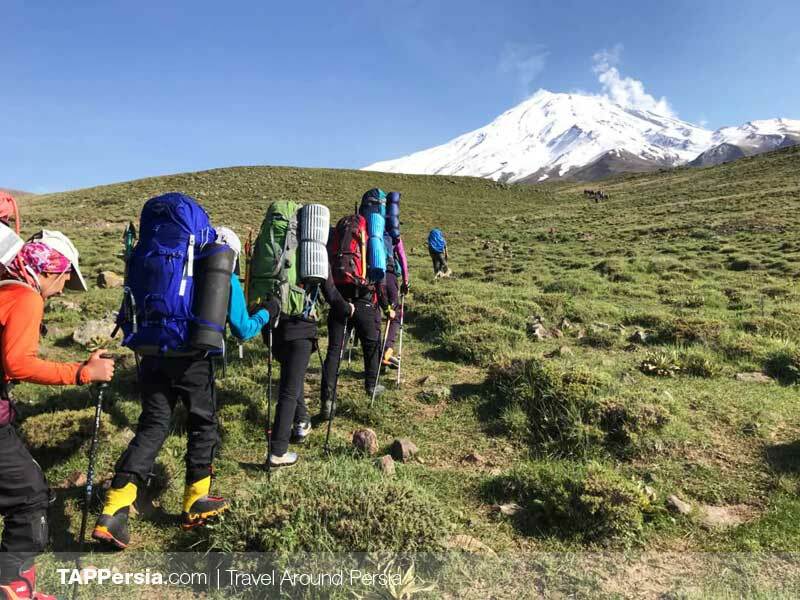 This trip takes 3 days to climb Damavand. 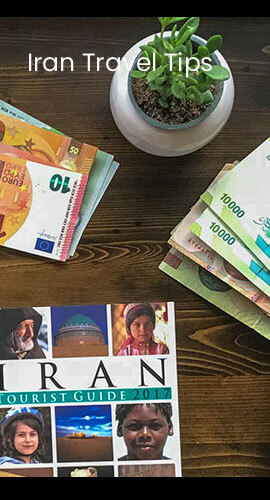 So, let’s start the first day from Tehran. For one hour, we will be driving toward Polur by a 4-wheel car. 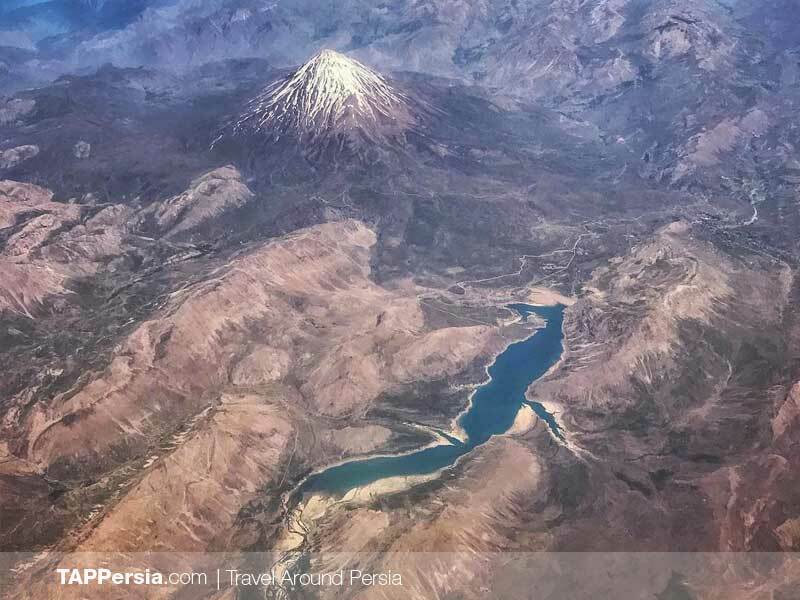 Polur is a 2300 meter high village, placed in a mountainous area near Damavand. Even in the summers, Polur has a paradisal cool climate. 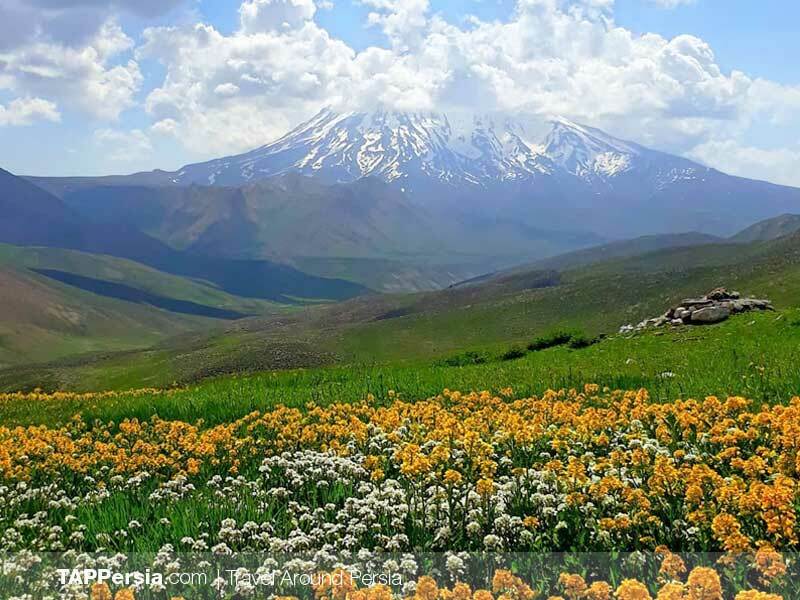 At the beginning of spring, when the snows of the mountain melts, this region will be covered by wild flowers and trees full of blossoms. We will have lunch and after some time start climbing up. It will take 6 hours to get to the third Bargah shelter and this stone construction shows we are 4200 meters high above the sea level. We camp in the same area and rest for the second day. 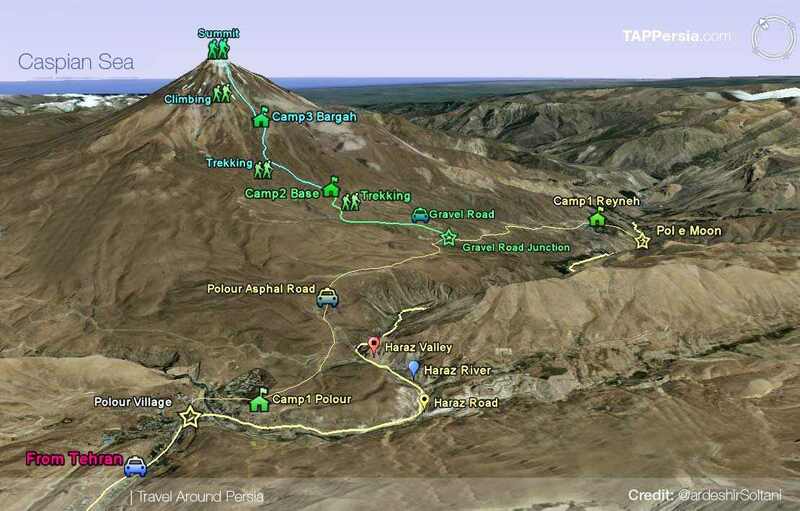 Next morning, we will spend about 6 hours hiking on moderate/high slopes and at noon, we are on the top of Damavand. Climbing this 5610m high summit is a really remarkable achievement. 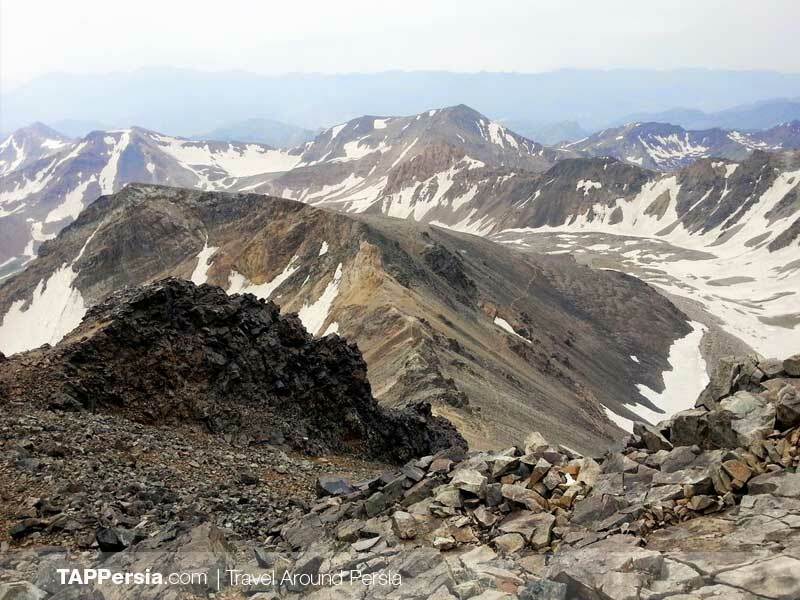 You’ll get all your energy back by standing on the highest spot of Iran, which is an incredible enthusiastic feeling. Don’t forget to take memorable pictures of this victory. 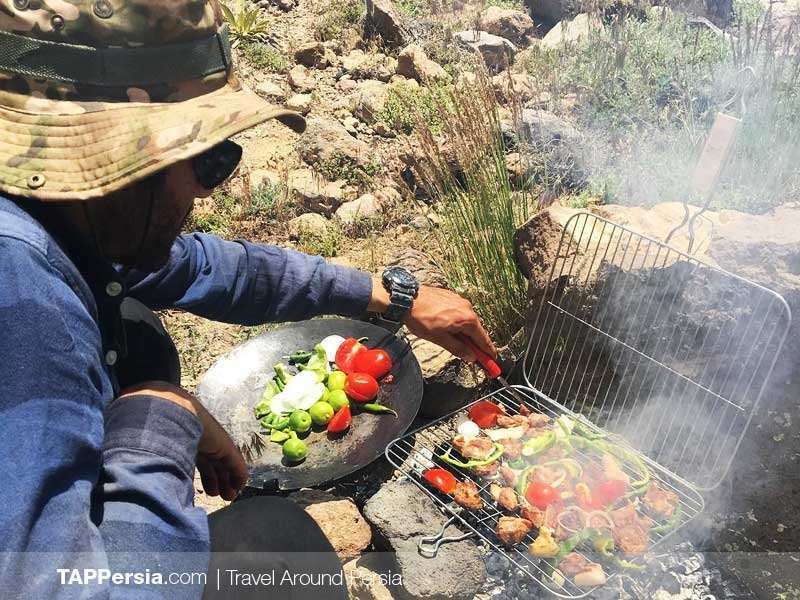 After some time spending in Damavand Summit, we come down to the shelter and sleep there at night. On the third day, we come back to our car and drive back to Tehran in the afternoon. 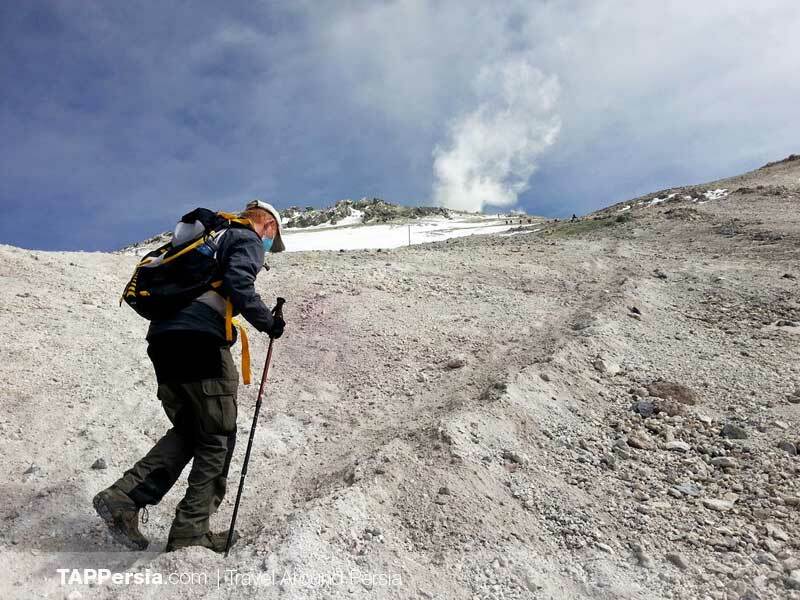 By mountaineering, we can learn how to be strong, patient and resistant to reach our goals in life. It’s also a nice treatment for mental disease like depression. As you get engaged with this challenge and overcome it, you’ll get lots of self-confidence for doing very important things in life. 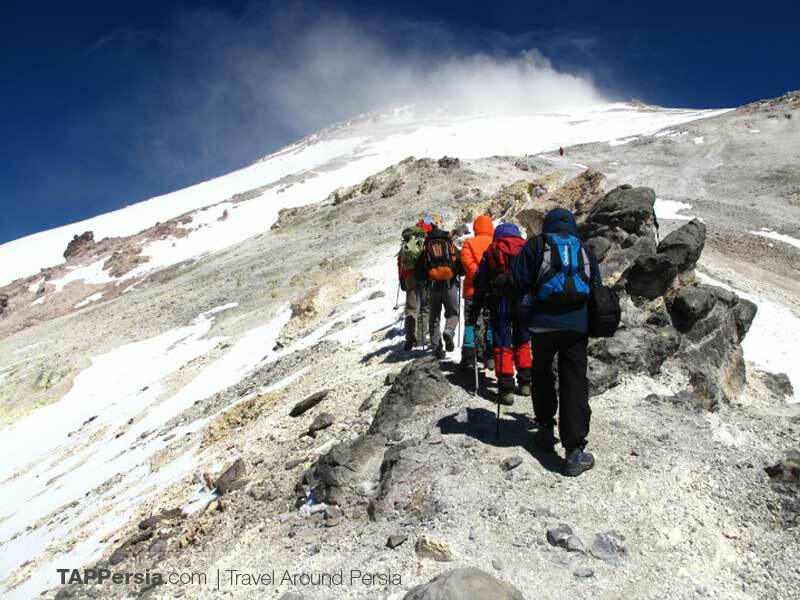 Mountaineering can control the blood pressure, cholesterol, diabetes and reinforce body stamina. 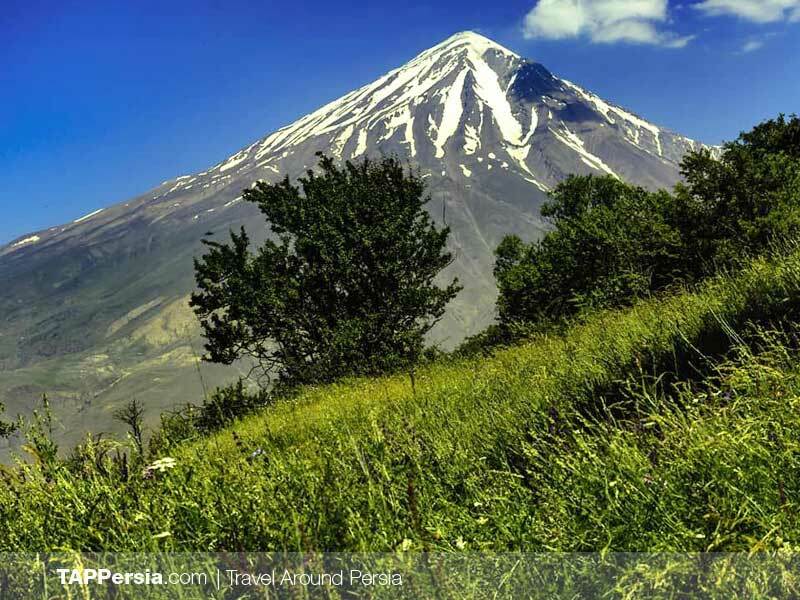 In case you’re a well-trained mountaineer, you can enjoy doing this sport in Mount Damavand. Sleeping bags and Mattresses are available for 10 €.